Android users face a very common problem of lost or deleted data. This is the only major problem that every Android user has faced at least once in his/her life. Sometimes while migrating Android data from an old phone to a new phone you may lose your data if the process isn't carried out carefully. And accidental Android data deletion is a nightmare for every Android user. Accidental deletion can happen anytime with anyone and in this situation, we can only blame the user for his doings. First of all, I would suggest every Android user have a backup of his/her data. Android phones are getting bigger and bigger in internal storage. Some 8 or 10 years ago we used to see 2GB space as a big one but now in 2018, we feel that even 64GB of internal storage becomes less sometimes. As the phone storage increased people started relying heavily on them and stopped using memory or SDcards. Back in old days we mostly used micro SDcards for saving our photos, videos, and songs and if any file got deleted then it was much easier to recover it from an SDcard. But today we just have stopped using micro SDcards and taking regular backups of our Android phone data. Recovering lost data from the internal storage of an Android phone is not an easy job. You'll need a special software for this that can access your phone's internal storage. And secondly, for a recovery software to deeply scan your phone's internal storage, it has to be rooted. So, you see why we are facing problems with our data, why we are losing it, and why we are finding it hard to recover it. This is because most people don't care about backing up their precious data and then face the consequences in case of lost data. So be a good and responsible Android user, backup your data on a regular basis. For backing up your data you can use a flash drive or an external hard drive. If you backup your Android data regularly then I bet you won't have any problems in case of lost data because you can always restore it from your backup. But if you have lost your Android data and don't have a backup then I'll tell you about recovering it for free. In this tutorial, I'll talk about an Android data recovery Android app that you can download from Google Play Store. This app doesn't require a PC and you can recover lost Android data without PC and on the phone itself. This Android data recovery app recovers photos, videos, call logs, WhatsApp chat database, contacts, and SMS. This app is EaseUs MobiSaver data recovery app for Android. It doesn't require any PC you just have to install this app on your phone and scan for deleted data. The app strongly recommends that your phone should be rooted. But if you are recovering recently deleted few photos or videos then there is no need to root your phone. In this case, the EaseUS MobiSaver will still recover deleted photos and videos for free and without root. Is a shareware Android data recovery app that works without PC and on rooted and non-rooted Android phone. Recovers photos (JPG) and videos (MP4) for free and mostly without root. If you want to recover any other image or video format then you have to purchase their service. EaseUS MobiSaver cost is also very low. The free version is very good at recovering JPG and MP4 files. If you want to recover SMS, contacts, call logs, and WhatsApp chat history then please root your phone and then use this app for deeply scanning the lost data. First of all, if you have accidentally deleted a photo or a video then do not copy new files to your phone until you recover those old deleted ones otherwise chances of data recovery will go down. Download and install the app APK from Google Play Store. After installing the app open it and tap 'Photo & Video'. Let the app scan for deleted photos and videos. Once the scan gets completed you will see the list of deleted photos and videos. 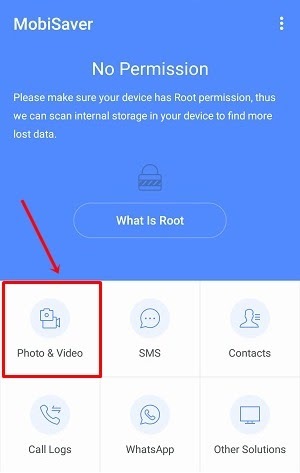 If your phone is non-rooted and you are still seeing the deleted photos and videos in the app's scan results then you don't need to root your phone. If you want to recover more deleted files then please root your phone and give the app superuser permissions. Tap to select photos and then tap the recover button 'Recover' icon. After recovering deleted photos tap the 'Videos' tab and select the deleted videos that you want to recover and then tap the recover button. Your recovered files will be available in the 'mobisaver' folder. This folder will be available in the same directory from where the file was deleted. You can also tap the 'EYE' icon to see all the recovered files at one place. 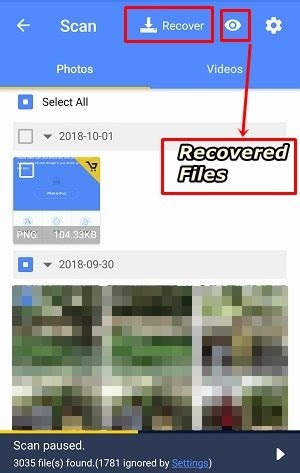 You have successfully learned to recover deleted Android photos and videos without root and for free. Nice free Android data recovery app which works on the phone itself. No PC required. Recovers unlimited JPEG and MP4 files. 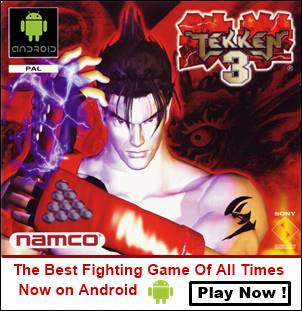 Supports the new android version. Shows existing files as deleted in scan results along with deleted files. If you are looking for a free Android data recovery app without root and without using PC then EaseUS MobiSaver should be your first choice.